In 2014 I was building a portfolio geared towards children's books. 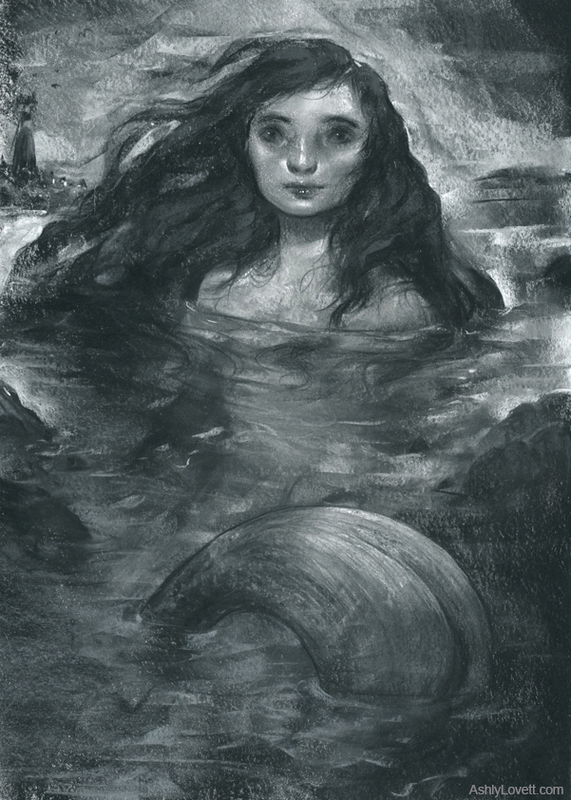 I found the 1830s original version of The Little Mermaid and wanted to adapt it myself to practices more narrative pieces and add work to my portfolio. I ended up dropping the project since it was so dark. Now, 3 years later I'm pulling that old folder from my external hard drive. The tone of the story is perfect for the work I love doing now. I thought it would be a perfect story for my Kickstarter. I gave a lot of thought about my work and my self this past week at Illuxcon. And I know that this is the right project because it's something I'd want to do regardless of making money. 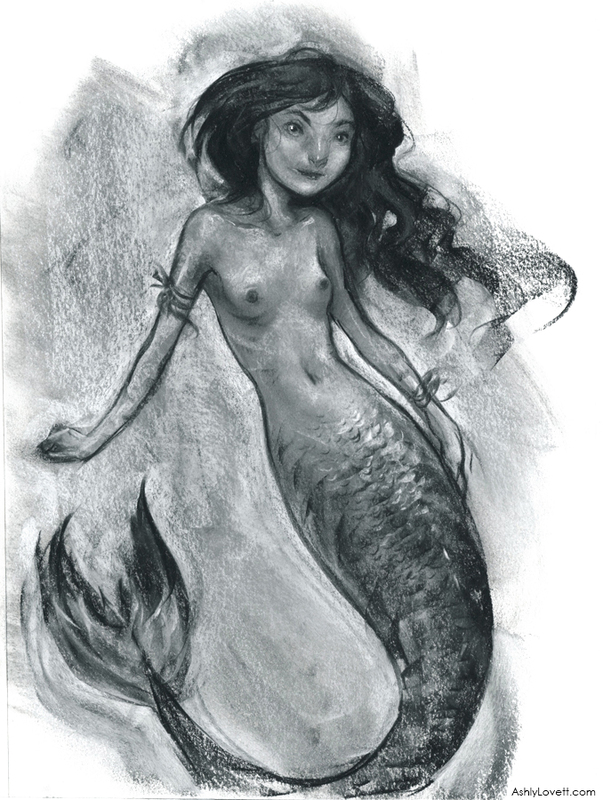 Part of my push to do this story was also attributed to when I explored full figure narrative pieces with chalk pastel and chalk pastel pencils during May 2017 for #MerMay. I was trying to work with this media at no larger than 9"x12". I think there was some success here. However, I feel I'll likely work larger for the book. It's more obvious what media I'm using with these pieces due to the small size. I think there is more of a mystery to the process when I work at a more comfortable size and I like that. That may mean some reeeeally big chalk pastel pieces, which is fine by me. Below is my old process work from 2013 as a student. You can tell I was a bit wet behind the ears still (pun intended, hahahaha.) I did have a successful piece, which is the first image. It was a combination of a scanned drawing, a scanned chalk pastel texture, and a lot of digital work in Photoshop. I played with this technique for a while, but decided I hated grueling away at a computer screen. I eventually exclusively worked with chalk pastels soon after and you can learn more about that in an interview I did in 2016.